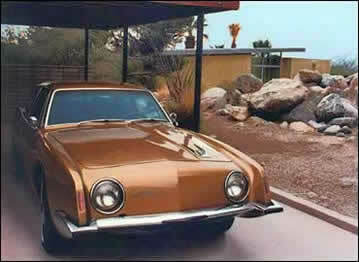 A copper colored Studebaker Avanti blends well with the architect designed house and the desert landscape. 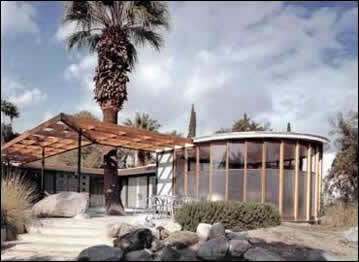 Part of the extended roof of the house wraps around an exotic desert palm. 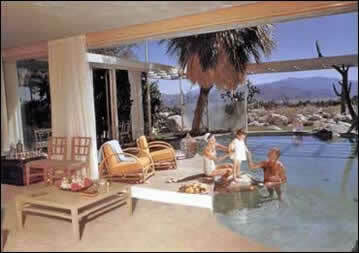 Loewy and his family enjoy the indoor/outdoor pool that extends from the desert sun into the shady living room. 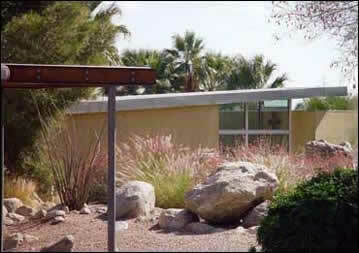 The exotic desert landscape surrounds the Albert Frey house and carport.